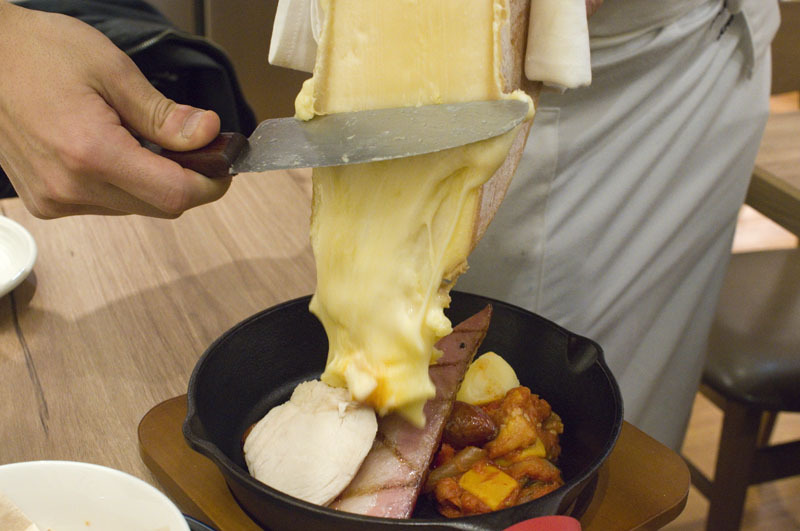 Once found almost exclusively in expense-account Swiss restaurants, cheese fondue, raclette and other cheesy delights are surging in popularity in Tokyo, particularly during the colder months of the year. Here are some of the best places to get your cheese. 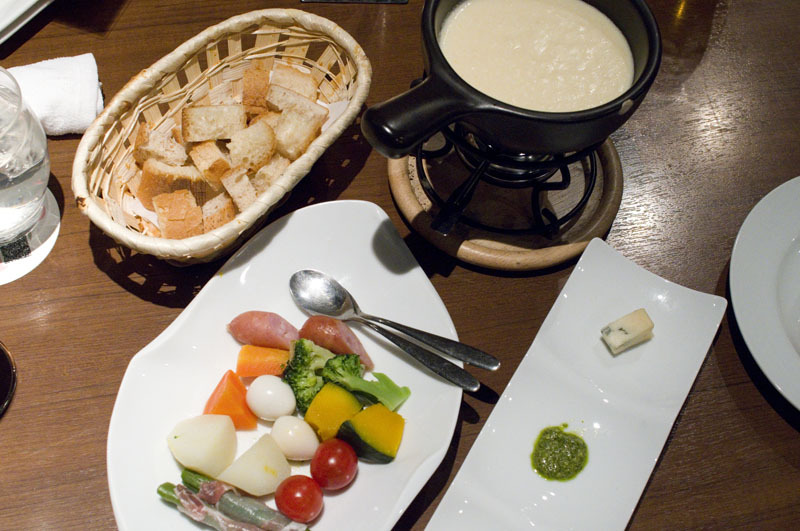 Even before the current boom, Tokyo has always supported a handful of traditional Swiss-style fondue restaurants. 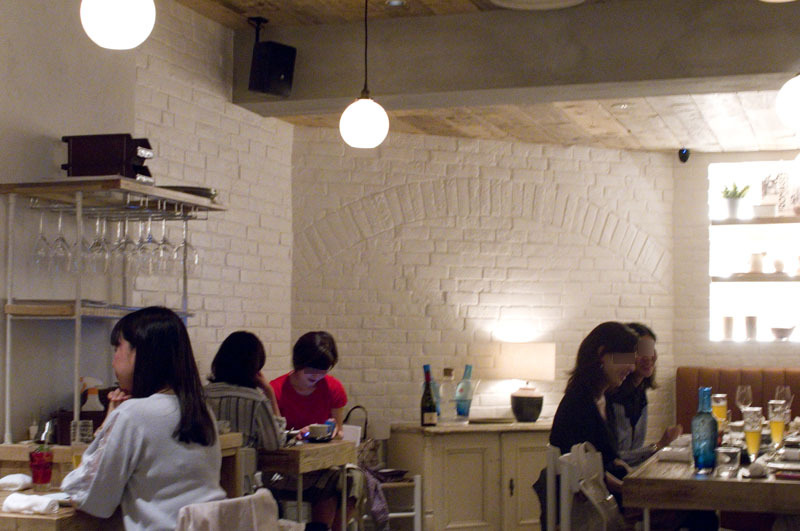 This charming little neighborhood spot stands out from the crowd for its beautiful heirloom Kamakura vegetables, its excellent Swiss wines and its satisfying side dishes like shrimp, salmon, and avocado salad. 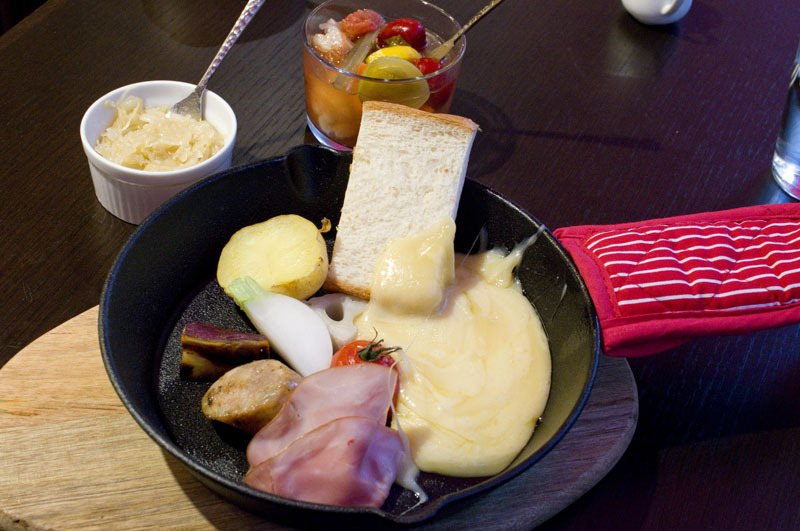 Although the dinnertime menu is quite expensive, Fromatique's 1200-yen raclette lunch is a relative bargain, featuring premium-grade vegetables, excellent home-made sausages and fantastic pickles. 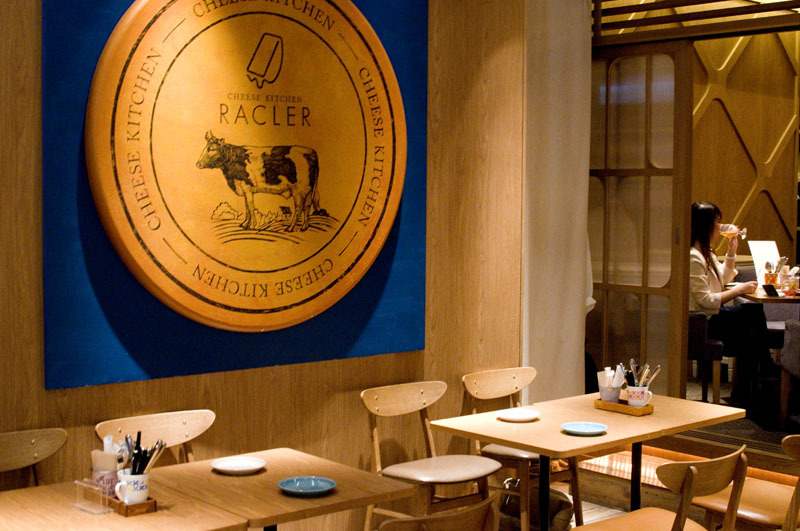 One of the many cheese-focused corporate restaurants that have opened since 2017, Racler may well be the best of the bunch. The fondue is served with gorgeous seasonal vegetables, the raclette comes with a decent helping of grilled meats, and supplemental cheese dishes like Alsatian four-cheese tarte flambee and frozen blue-cheese are all well conceived. There's also quite a bit of table service, adding entertainment value to the experience. 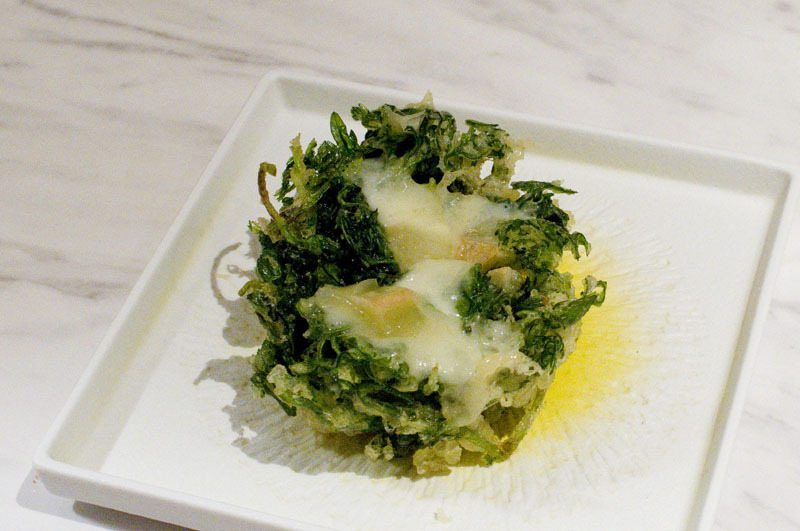 Tensai has combined the best of cheese-focused European dishes with the tradition of tempura-style preparation, to come up their own hybrid cuisine, which includes fried cheese. 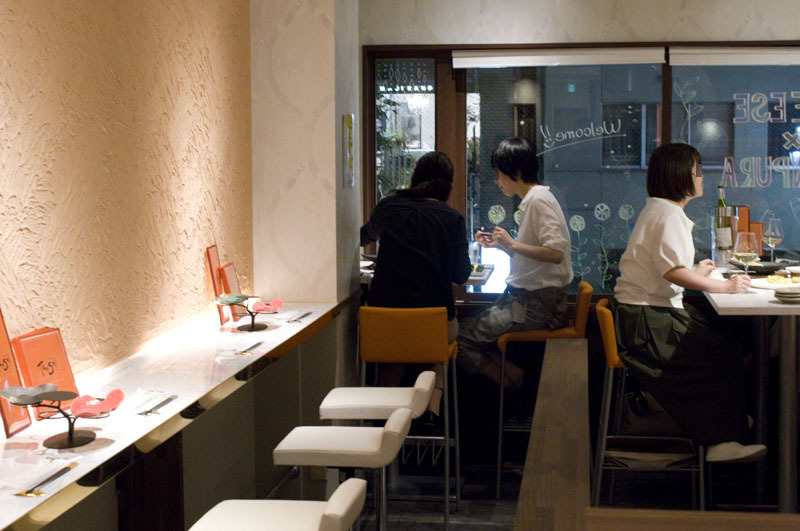 Their raclette is served over vegetable tempura rather than raw vegetables, and their tempura list includes both traditional and cheese variations. For the latter they enthusiastically explore flavor combinations like lotus root with gouda and shiso leaf, and shiitake mushrooms with pesto. The always-beautiful vegetables, sourced from a small farm in Shimane, are another highlight. 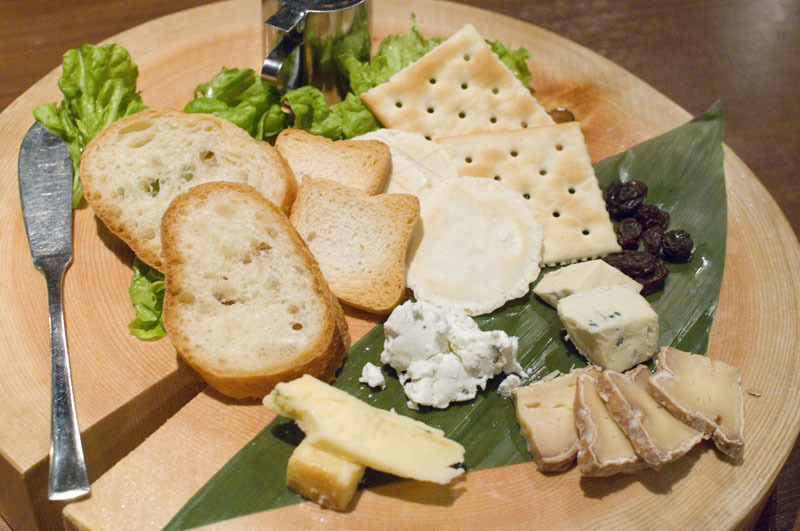 Fermented foods - basically cheese and miso - are the driving theme at Saika, giving them a broader canvas to work with once the fondue course is done. 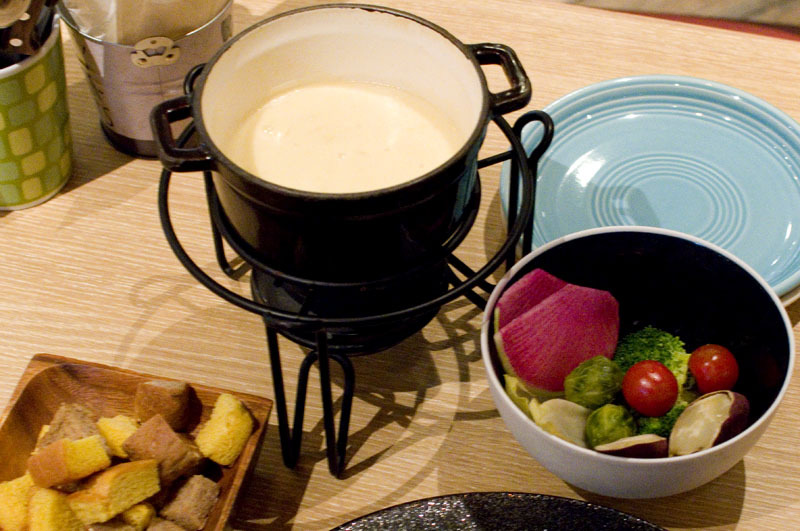 Saika's fondue itself is pretty solid, made with four cheeses and Kyoto miso, plus a small dish of extra seasonings - spicy tomato, gorgonzola, pesto - that you can add in later for additional thrills. 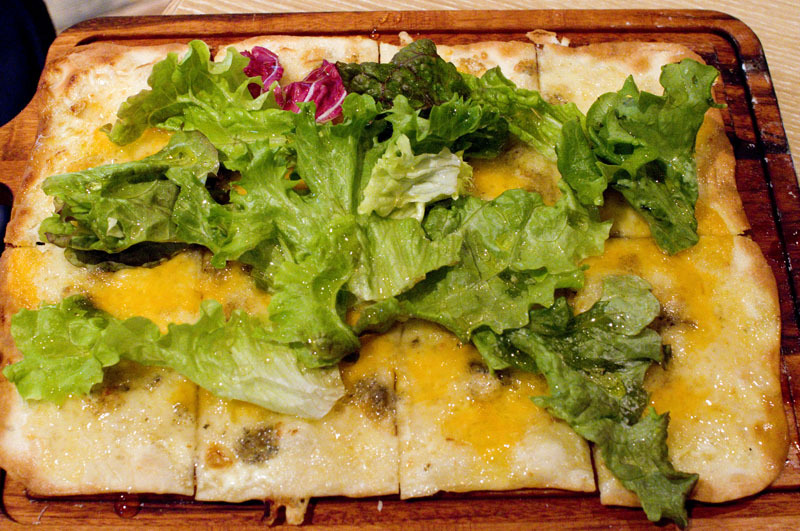 There are plenty of cheese-centered pastas and pizzas to follow up with, but the miso-marinated and -grilled meats are a satisfying alternative while still sticking with the overall theme. 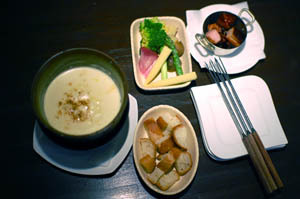 The Black Truffle Fondue here stands out among Tokyo fondues thanks in great part to the addition of truffle flavoring, which it turns out is a fantastic idea. It's served with lovely seasonal vegetables, chicken and ham, making this more substantial than your typical fondue. 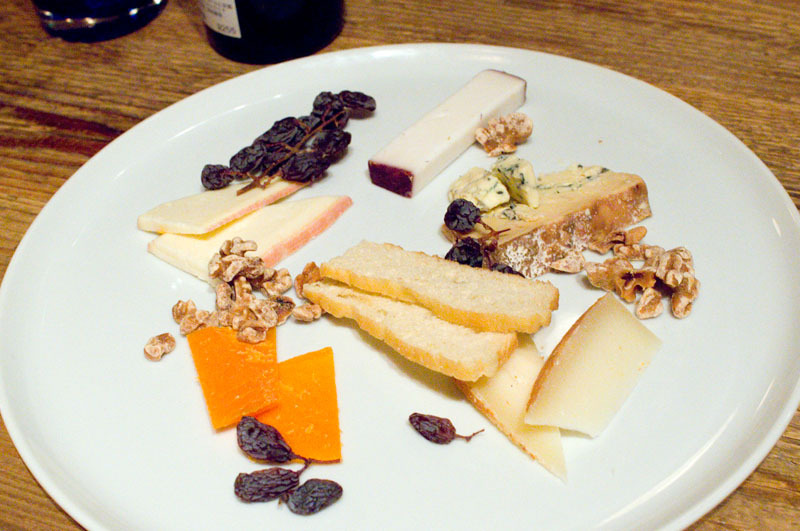 Also noteworthy is Cascina's extensive lineup of cheese-themed starters, where cheeses play a supporting role. 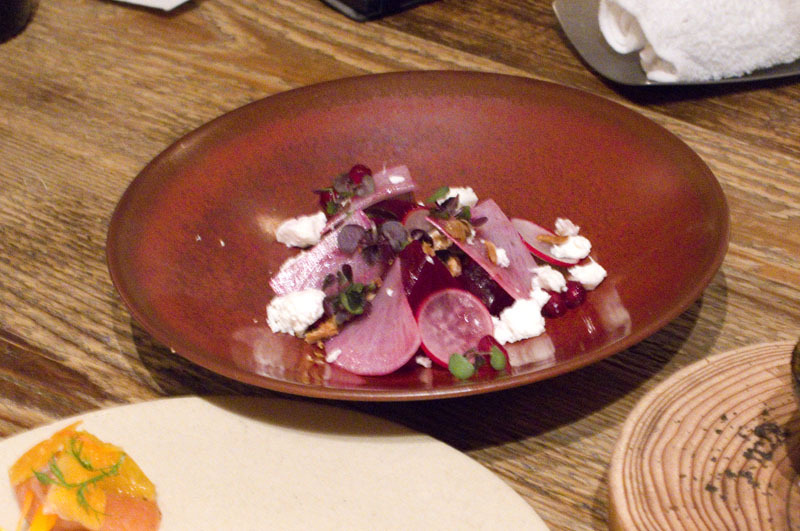 The inspired flavor pairings - such as Pecorino with Fresh Mushroom Salad, and Feta with Roast Beets, Radish and Pomegranate - do a good job of whetting the appetite and preparing the way for more cheeses to come.